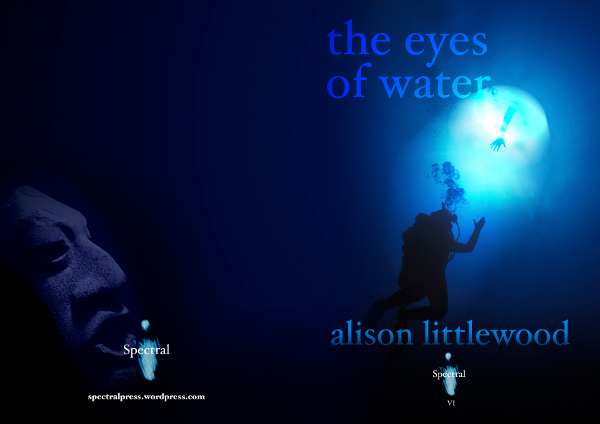 "The Eyes of Water" ©2012 Alison Littlewood/Spectral Press. Cover artwork ©2012 Neil Williams. After unveiling the front cover artwork to Alison Littlewood’s chapbook The Eyes of Water last week, we now very proudly reveal to you the whole wraparound cover to it. Once again, the mighty Neil Williams has created the perfect visual encapsulation of the story contained within and we couldn’t have wished for anything better. Hope you like it as much as we do! The stone face on the back rather freaks me out. That’s a compliment, by the way!